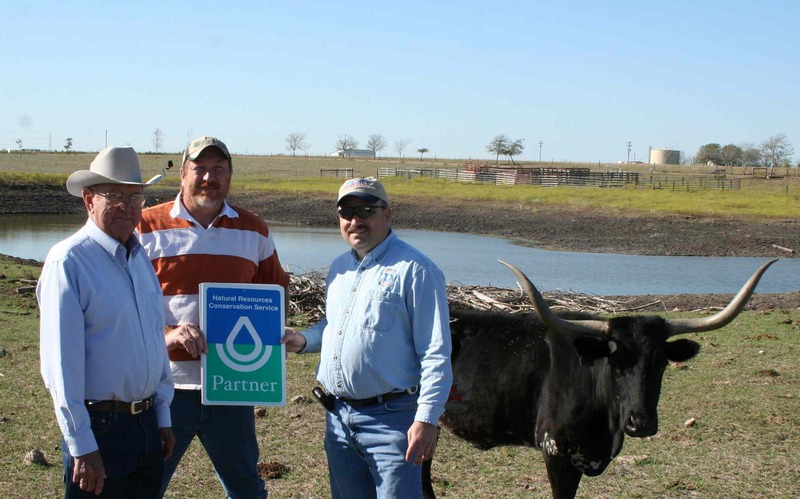 A rancher can do everything right: develop a conservation plan that includes rotational grazing, install cross-fencing, conduct nutrient and pest management, and build a pond to water his pastures. But what happens when a drought - with no end in sight - threatens to wipe out all past achievements? What happens when a rancher who is doing everything right has to downsize his herd in the midst of a massive cattle sell off that has overcrowded auction barn s around the state? If that rancher is David Brooks of DDV Ranch in Fayette County, Texas, he donates his cattle to feed the hungry. “The love of the land and my love of helping others made it the perfect solution,” said Brooks, who made the decision with his wife, Darlene and daughter, ‘Tori.’ “I have been active in helping people most of my life, from mission work in Cuba to serving on the mission board at church that helps in disaster response.” Brooks donated 23 head of cattle, or more than 7000 pounds of beef, to feed needy families while fostering conservation efforts on his ranch. Brooks was recently recognized for his volunteer work in Houston and across Texas as the Central South District Coordinator for Disaster Response & Relief. Brooks has provided training opportunities in disaster response, led relief efforts, and has participated as a member of the Texas Annual Conference Committee on Relief, a leadership group for United Methodist disaster response efforts encompassing all of East Texas. “My family and I have been blessed. Through this effort, I knew that I was not only going to help feed people who needed food, but I would also help my land and the environment by not continuing to overgraze, ” said Brooks.